On this site in 1754, one of the earliest settlements on the Georgia frontier was founded by Edmund Grey. The Quaker village was named Brandon and the lands were still legally in the hands of Native Americans. After the Treaty of Augusta in 1768, the land was opened to European settlement and 40,000 acres were granted to Joseph Mattock and Jonathan Sell by Royal Governor James Wright. The town of Wrightsboro grew around this area. 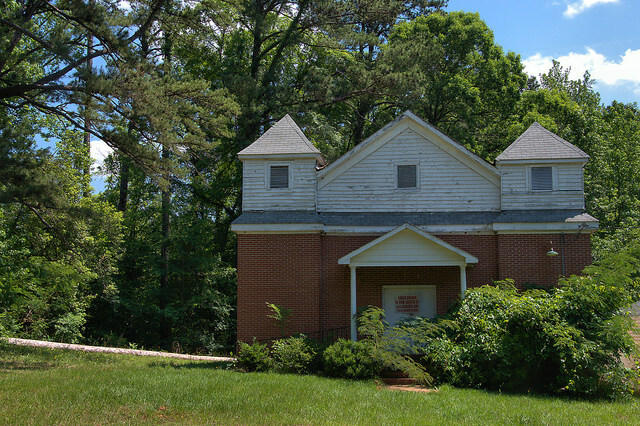 In 1799, a Wrightsboro Friends Meeting House open to all denominations was built here, and by 1805, the Quakers were gone. 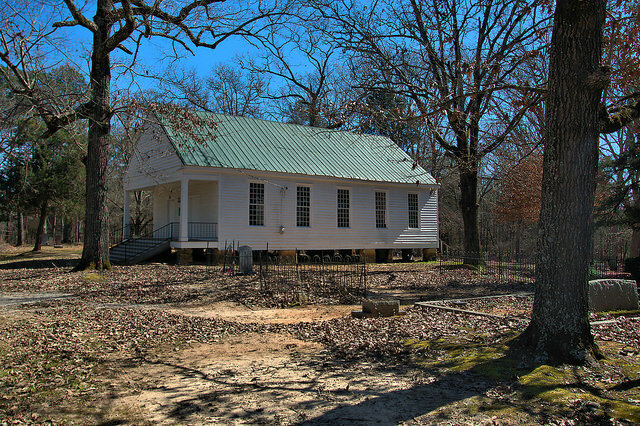 The Friends Meeting House was lost to fire in the first decade of the 19th century and this replacement was built in 1810. 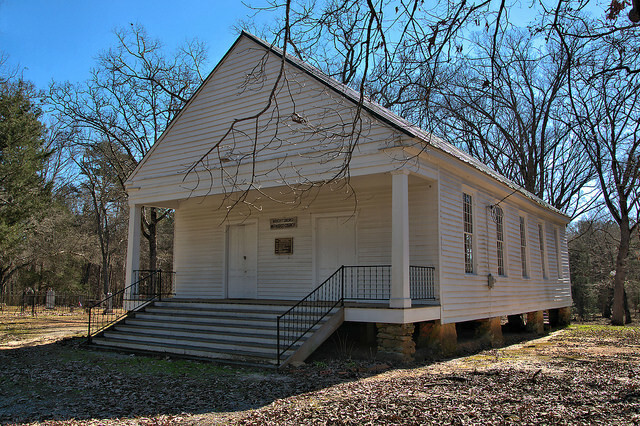 It became the Wrightsboro Methodist Episcopal Church South in 1837. 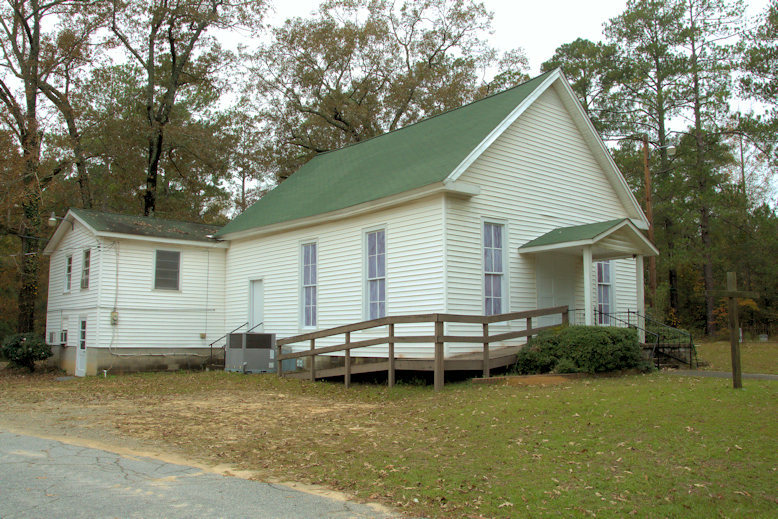 In 1966, the congregation dwindled to the point that services were no longer practical and McDuffie County became the caretakers of the property. 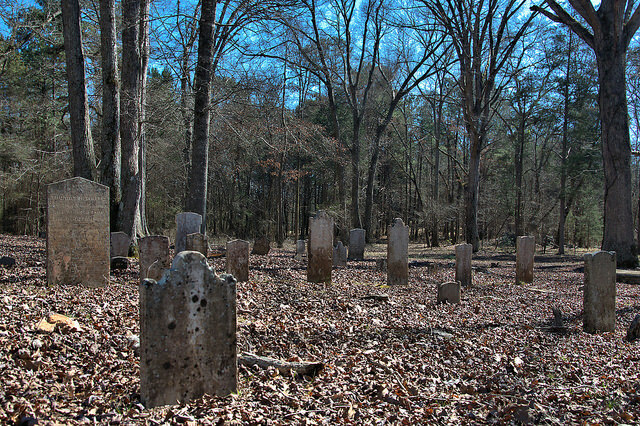 The adjacent cemetery is among the most historic in this section of Georgia, with burials dating as far back as 1800. Historians posit that this was likely the village cemetery, as well, since the present church was located at the center of the Quaker community. This congregation has moved to another facility but I hope this historic church will be saved.